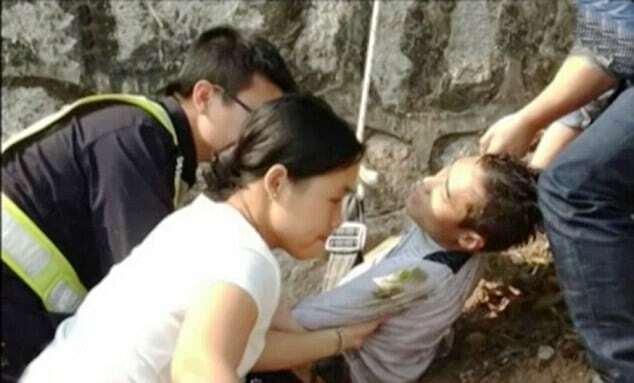 A Chinese groom upset at being forced into marrying an ‘ugly bride’ has attempted suicide. 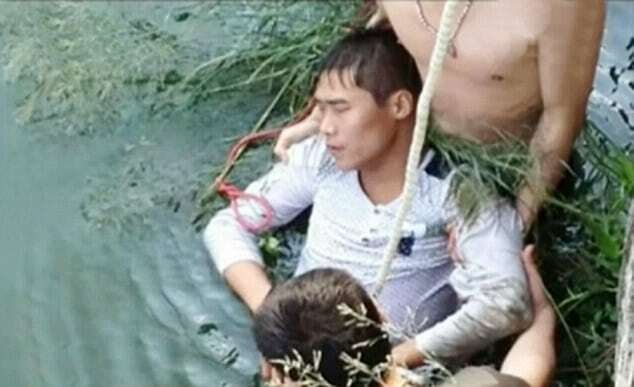 Authorities would be called to a lake in the city of Shiyan in the central Hubei province after the groom was observed attempting to kill himself by drowning. 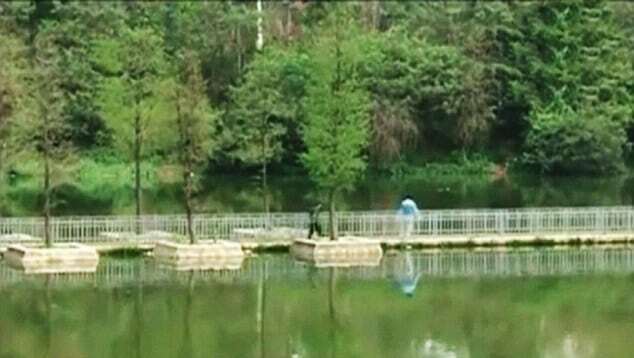 According to the People’s Daily Online, the would-be groom was discovered floating face down in the lake before eventually being pulled from the water. 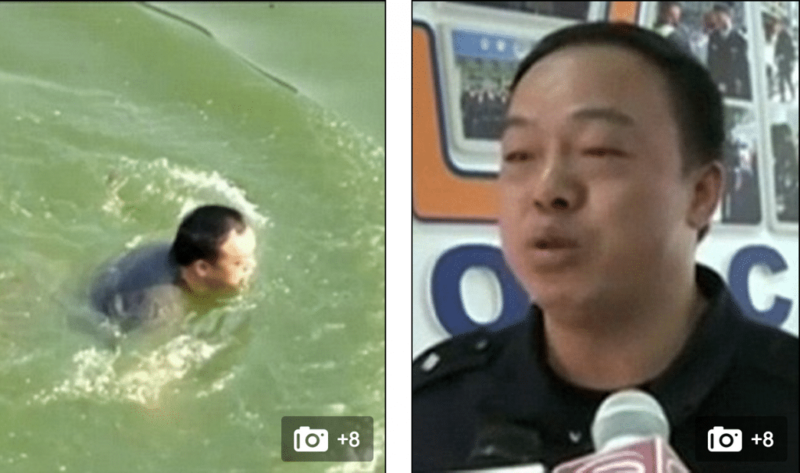 The police officer immediately dived straight into the water to save the drowning man – not even taking them time to remove his jacket before doing so. ‘I first dragged him towards the wall but as I knew I didn’t have the strength to get him out of the water alone I put him near the wall and waited for the fire brigade to arrive,’ he said. When the firefighters arrived at the scene they used safety ropes to winch the man to safety. Taken to the local hospital for observation, the groom is now expected to make a full recovery. Asked why he had attempted to kill himself the man revealed he was unhappy about being pressured into an arranged marriage. 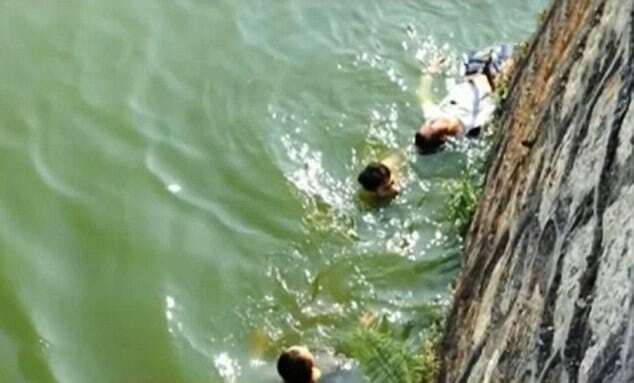 Qan Tsui, 25, who took photos of the rescue said: ‘He was fully clothed and floating face down in the water…He was unconscious and I thought he was dead.